As William, Catherine and Harry officially open the Global Academy today, we're working with Heads Together to help people talk about mental health and wellbeing. Heads Together aims to change the national conversation on mental health and wellbeing, and is a partnership and inspiring charities with decades of experience in tackling stigma, raising awareness and providing vital help for people with mental health challenges. Spearheaded by The Duke and Duchess of Cambridge and Prince Harry, Heads Together aims to use the privilege of being Charity Of The Year for the 2017 Virgin Money London Marathon to tackle stigma and change the conversation on mental health and to make this year’s London Marathon ‘the mental health marathon’. We’ve giving you exclusive early access to our Heads Together Snapchat lens - If you want to show your support by wearing a digital headband then get involved – it’s got a twist so make sure you try it with your friends or the person you talk to most about how you feel. Once you’ve created, be sure to add our headstogether account and share with your friends (and with us), so we can show your masterpiece to the Heads Together community! 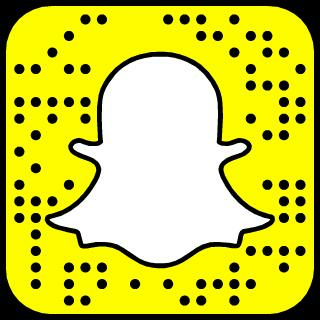 Use this link or our Snapcode. Not on Snapchat? No problem. Make sure you sign up to our newsletter as well – and we’ll keep you posted on other campaign activity (we’ve got lots of news coming up), including ways to show your support online, as well as content from marathon day – which promises to be the first mental health marathon! If you're unsure who to reach out to or struggling to put into words how you're feeling, please remember our charity partners are there for you. We work with eight different charity partners to make sure that everyone feels able to speak openly about their mental health.